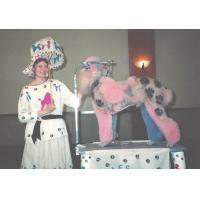 See Spot Run "Dog Park"
Saturday & Sunday 9:00-4:00pm By appointment only. Wednesday & Thursday Closed. Boarding Drop off and Pick up by appointment only on these days. Welcome to Professional Pet Room & Groom. Now you can get away and relax, knowing your dog and cats are receiving the personal care, love and attention second only to the level of care they receive at home. Professional Pet Room and Groom is an 1,800 square foot, climate-controlled grooming and boarding facility located in Boulder City, Nevada, near Lake Mead, that proudly maintains a safe, happy and stress-free boarding & grooming environment for your pets. Pearl Johnstone, a Nationally Certified Master Groomer, has been providing expert dog and cat grooming services to Boulder City, Henderson & Las Vegas residents and their pets since 1989. EXPERTISE. Our office provides Pet Care.Our services include Dog and Cat Grooming, Dog and Cat Boarding, Pet Suplies. Our clients include all dog and cat owners that care about how there pet is treated. 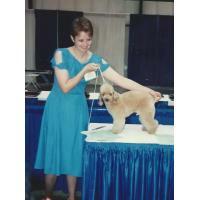 My name is Pearl Johnstone I am a Nationally Certified Master Groomer. 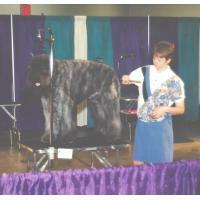 Since I started pet grooming in 1988, I have always held my self to high grooming standards. I have tried to improve my pet care training with adding pet massage into my venue of training. Now I have opened a pet boarding facility. My facility is of a Quality you have never seen before, we have raised floors we use RO water and feed as you do, in combination with my pet grooming salon, pet massage and holistic pet supplies, we are what you are looking for!!!! I now hold my high standerds for pet boarding. To make Dogs and Cats as comfortable as possible away from home. Hand scizzor specializing in curly coats. Single and multiple Dog and Cat familly Boarding. Pet Massage with essential oil acsents.